There is no substitute for a Certified Criminal Records Check; it is the only way that you can be sure that the individual you are dealing with is really who they claim to be and that they do not have a criminal record. RCMP CCRTIS maintains the national repository of fingerprint and criminal record information. It is mandated to provide direct operational support to the Canadian law enforcement, criminal justice, and public security communities, as well as international partners such as the Federal Bureau of Investigation (FBI) and Interpol for criminal, civil, and immigration fingerprint purposes. CCRTIS is the sole provider of criminal record verification for civil and criminal court purposes, as well as the security screening environment for all levels of government and the general public. Our digital fingerprint service is a quick and easy process. We offer appointments so that we may fit your schedule, and ensure a consistent, high quality experience. Our service is especially convenient for those overseas. 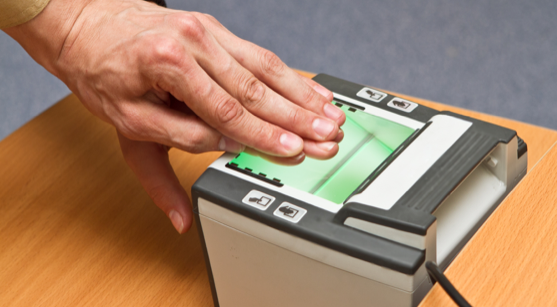 We are able to digitize and submit any foreign fingerprint card shortly after it arrives at our office. CCRTIS clients submitting electronic fingerprints now receive responses within 72 hours (3 business days) for the majority of civil clearance fingerprint requests that do not link to a criminal file. The goal of CCRTIS is to respond to 85% of electronically submitted civil fingerprint requests within 72 hours. However, if a criminal record is encountered during the verification process, the turnaround time could exceed 120 days. Reliability Screening Solutions Inc. services are available from 6:30 a.m. to 9:30 p.m. seven days a week, excluding statutory holidays. To book an appointment with a Customer Service Representative, call us at (613) 216-1888, send a fax to (613) 482-5090, or send us a message.